NEWLY co-opted Sinn Féin Councillor Danny Baker says he wants to make it his priority to engage with the young people of the Colin area while working on building upon relationships in Lagmore. The new Belfast councillor, who takes over the reins from CBS teacher David Bell, says that 2018 is already shaping up to be a busy year. “I live in the Lagmore area so I’m well aware of the needs of residents and what is required to build on the community network,” he told the Andersonstown News. “It’s time to get cracking on and I’ve a real hunger for working for the constituents in whatever way I can,” he said. 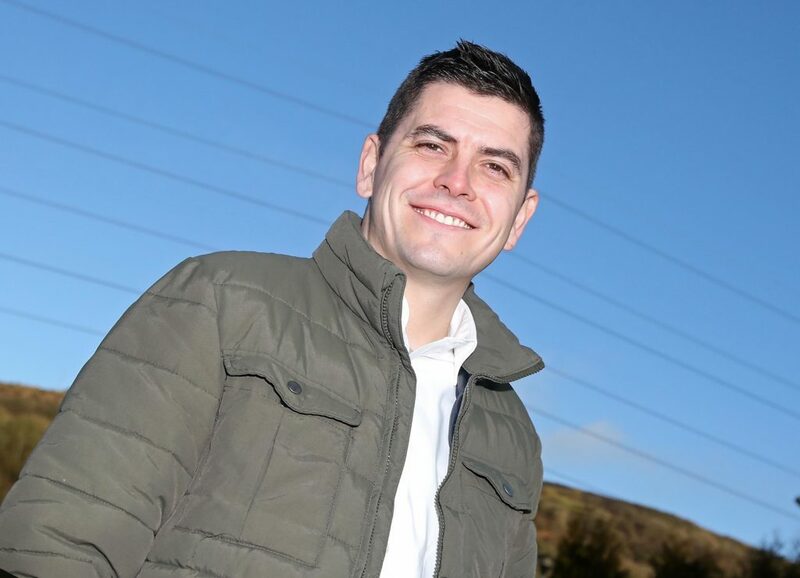 A Sinn Féin activist since he was 17, the 35-year-old said that he plans to engage with the Department for Infrastructure for plans that would see a second entrance/exit into and out of the Lagmore estate. “You’re basically talking about 7,000 people in that one area and there is only one way in and one way out,” he said. “During busy stretches it can take up to 20 minutes to try and get out. Councillor Baker also stressed the need for a sports facility model akin to the recent Sally Gardens project as something the Lagmore area could benefit from. “The Sportszone Complex at Sally Gardens is really transforming the area, it’s a first class facility and is something that the residents and children of Lagmore need. “There does need to be more resources brought into the area and that is an area I really want to focus on and work for.